 The new Mercedes Benz G-Class (sometimes called G-Wagon) has undergone a substantial redesign for the 2019 model year and due to its acclaimed legacy has been consistently sold out across most international channels. 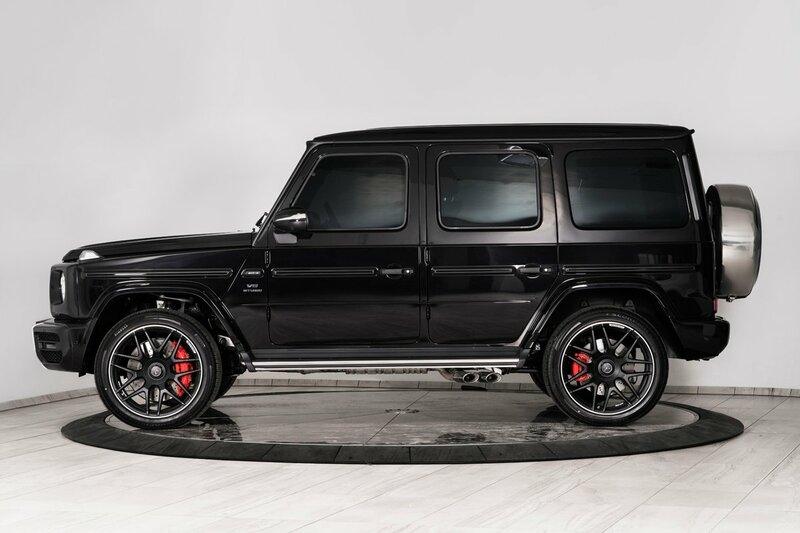 However, INKAS® Armored Vehicle Manufacturing, was able to get a hold of the cult-vehicle and has become one of the first companies in the industry to armor the G-Wagon. Armored to a CEN 1063 BR6 ballistic protection level in its Toronto, Canada facility using premium armoring technologies and ballistic materials, the Armored Mercedes-Benz G63 AMG is now commercially available. Due to innovative composite materials, the INKAS® armored G-Wagon looks and drives very similar to its unarmored, or “soft-skin” counterpart. “We manufacture fully armored and secured vehicles that do not attract any unwanted attention,” adds David Khazanski. “This can essentially save your life, since other people would not be aware of the vehicle’s protection capabilities”. The armored G63 is manufactured to meet CEN 1063 BR6 ballistic standards and offers 360-degree protection from high-power rifle ammunition as well as the simultaneous detonation of two hand grenades below the vehicle’s floor. It would be difficult to overlook the new design elements of the Mercedes-Benz G-Class as it displays a comprehensive reengineering of its exterior fascia and its interior design. For almost forty years the G-Wagon’s classic design has remained untouched, yet, the 2019 model features a softened and rounded body frame with circular LED High Performance headlamps coupled with the iconic Mercedes-Benz Panamerica grille. Inside the cabin, the vehicle is equipped with two large digital screens, one serving as the instrument cluster and the other an interactive media system with voice command interactions. The vehicle also features Android and Apple connectivity, an adaptive 64-color LED lighting system as well as cooled and heated front and rear seats. The new G-Wagon design makes this vehicle truly stand out amongst other SUVs on the road. The iconic G63 is also well known for its performance, maneuverability and off-road characteristics. The driving experience is supported by an AMG Performance 4MATIC all-wheel drivetrain that features a front/rear torque distribution ratio of 40:60. The vehicle is equipped with an AMG 4.0-liter V8 twin-turbo engine enhanced by a nine-speed automatic transmission with torque converter that enables the motor to produce up to 577 horsepower and 627 lb-ft of torque. 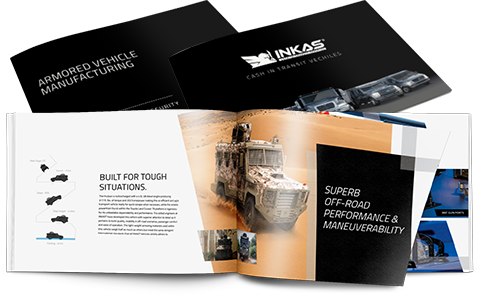 In the past, INKAS® has successfully delivered various armored G-Classes to celebrities and VIPs on a global scale. The company offers a multitude of luxurious designs and accepts individual requests for interior layouts, as well as provides vehicle stretching and external styling modifications.